Some random code available on my github account. Some pedagogical materials around data-science. A selection of publications pre-prints are available for download. A selection of visual projects made with . I’m researcher at the french institute of sciences and technology for transport, development and networks (IFSTTAR in french). I mainly work on applications of pattern recognition tools to transportations problems. I share here some informations on my scientific and other activities. 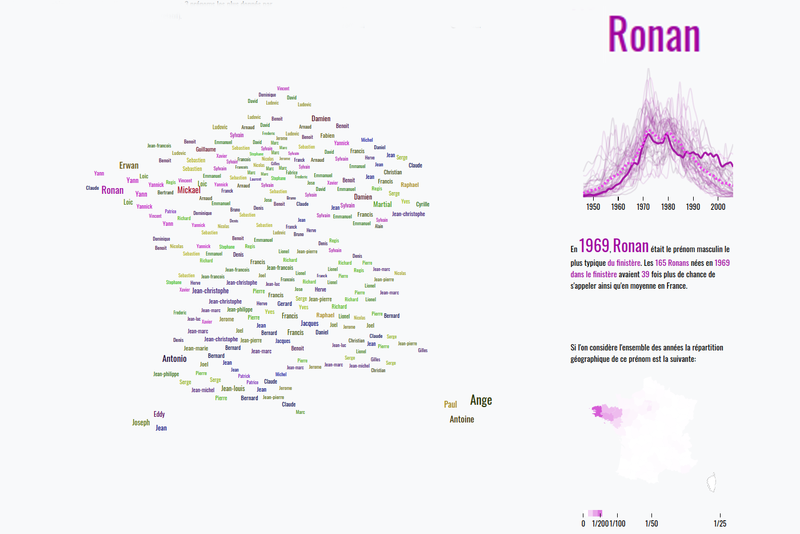 Je suis chargé de recherche à l’Institut Français des Sciences et Technologies des Transports de l’Aménagement et des Réseaux (IFSTTAR) et je travail principalement sur l'aplication d'outils de type reconnaissances des formes sur des problèmes de transports. Je partage ici des informations sur mes travaux scientifique et autres. A-S. Briand, E. Côme, M. K. El Mahrsi & .L Oukhellou. A mixture model clustering approach for temporal passenger pattern characterization in public transport. In International Journal of Data Science and Analytics Volume 1, Issue 1, pp 37–50, 2016. P.A. Laharotte, R. Billot, E. Côme, L. Oukhellou, A. Nantes, N.E. El Faouzi. Spatiotemporal Analysis of Bluetooth Data: Application to a Large Urban Network. Transactions on Intelligent Transportation Systems (99) : 1-10, 2014. Z. Cherfi, E. Côme, L. Oukhellou, T. Denoeux and P. Aknin. Partially supervised Independent Factor Analysis using soft labels elicited from multiple experts: application to railway track circuit diagnosis. Soft Computing, 16(5) :741-754, 2012. L. Oukhellou, E. Côme, L. Bouillaut and P. Aknin. Combined use of sensor data and structural data processed by bayesian network. application to a railway diagnosis aid scheme. Transportation Research Part C,16(6) :755–767, 2008. A. S., Briand, E. Côme, M.Trepanier, L. Oukhellou. 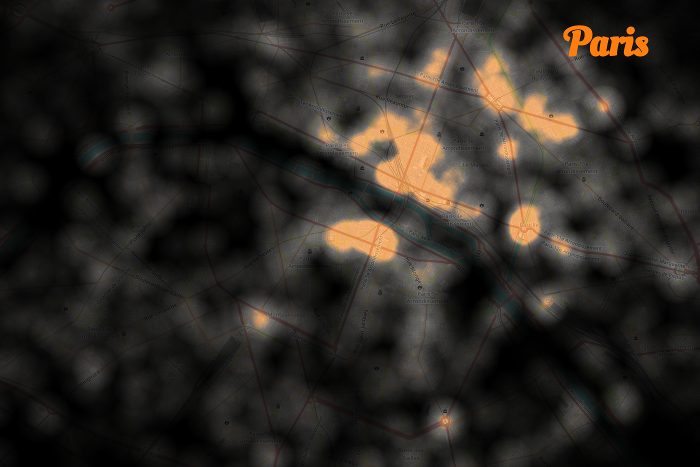 Smart Card clustering to extract typical temporal passenger habits in Transit network. 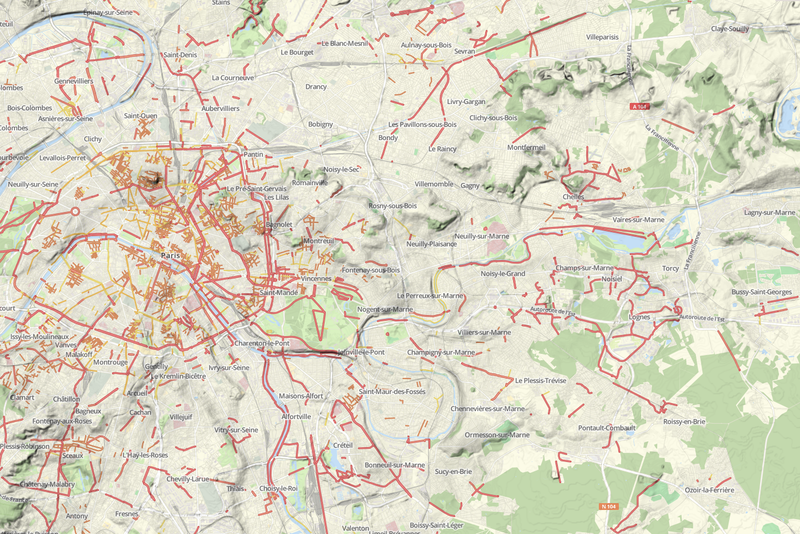 Two case studies: Rennes in France and Gatineau in Canada, 3rd International Workshop and Symposium Research and applications on the use of passive data from public transport, 2017. F. Toqué, E. Côme, M.K. El Mahrsi, L. Oukhellou. Forecasting Dynamic Public Transport Origin-Destination Matrices with Long-Short Term Memory Recurrent Neural Networks. IEEE 19th International Conference on Intelligent Transportation Systems, 2016. A.S. Briand, E. Côme, MK. El Mahrsi, L.Oukhellou. Classification à base de Modèle de mélange pour l’identification de profils temporels types d’usagers de transport public. In proceedings of AAFD & SFC'16 - Francophone International Conference on Data Science , Marrakech , MAROC , 2016 (Prix du meilleur papier jeune chercheur). F. Toqué, E. Côme, M. K. El Mahrsi, L. Oukhellou. Forecasting Dynamic Public Transport Origin-Destination Matrices with Long-Short Term Memory Recurrent Neural Networks. In Proceedings of IEEE 19th International Conference on Intelligent Transportation Systems , Rio de Janeiro , BRESIL 2016. A. Randriamanamihaga, E. Côme, L. Oukhellou. Dynamic Origin/Destination modeling with Gravity-Latent Dirichlet Allocation (G-LDA). In proceedings of TRISTAN IX - 9th Triennial Symposium on Transportation Analysis, Oranjestad, Aruba , PAYS-BAS , 2016. F. Papon, J.M. Beauvais, S. Midenet, E. Côme, N. Polombo, S. Abours, L. Belton-Chevallier, C. Soulas. Evaluation of the bicycle as a feeder mode to regional train stations, Transportation research Procedia, WCTR2016 - World Conference on Transport Research, Shanghai, CHINE, 2016, Elsevier, 20p. A.S. Briand, M.K. El Mahrsi, E. Côme, J. Baro & L. Oukhellou. A Mixture Model Clustering Approach for Temporal Passenger Pattern Characterization in Public Transport. In proceedings of the 2nd IEEE International Conference on Data Science & Advance Data analytics, Paris 2015 (Séléctionné pour publication dans une revue). E. Côme. Analysing Spatio Temporal Behaviours of Bike Sharing Systems Through Clustering and topic modelling, In proceedings of the 14th International Conference on Travel Behaviour Research, p. 1-20, Windsor 2015. E. Côme, M.K. El Mahrsi, L. Oukhellou. 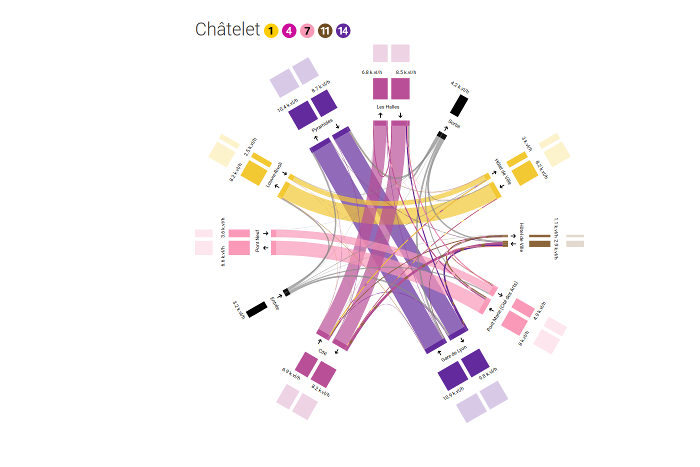 Cartographie interactive de matrices Origines / Destinations. In proceedings of Spatial Analysis and GEOmatics, 2014, Grenoble. E. Côme, M. Cottrell, M. Verleyssen and J. Lacaille. Self Organizing Star (SOS) for health monitoring. In Proceedings of the European Symposium on Artificial Neural Networks, 2010. Z.L Cherfi, L. Oukhellou, E. Côme, and P. Aknin. Railway device diagnosis using sparse independent component analysis. In Proceedings of the European Signal Processing Conference, Accepté, 2009. E. Côme, L. Oukhellou, P. Aknin. and T. Denoeux. Partially-supervised learning in Independent Factor Analysis. In Proceedings of the European Symposium on Artificial Neural Networks, Accepté, 2009. E. Côme, Z.L Cherfi, L. Oukhellou, T. Denoeux, and P. Aknin. Semi-supervised IFA with prior knowledge on the mixing process An application to a railway device diagnosis. In International Conference on Machine Learning and Applications,December 11-13, San-Diego, 2008. 60 ans de prénoms à la mode et de prénoms régionaux. Tentative de cartographie des appelations d'origine contrôlée viticolle Françaises. Explorer l'âge du bâti Parisien et les monuments historique de la capitale. 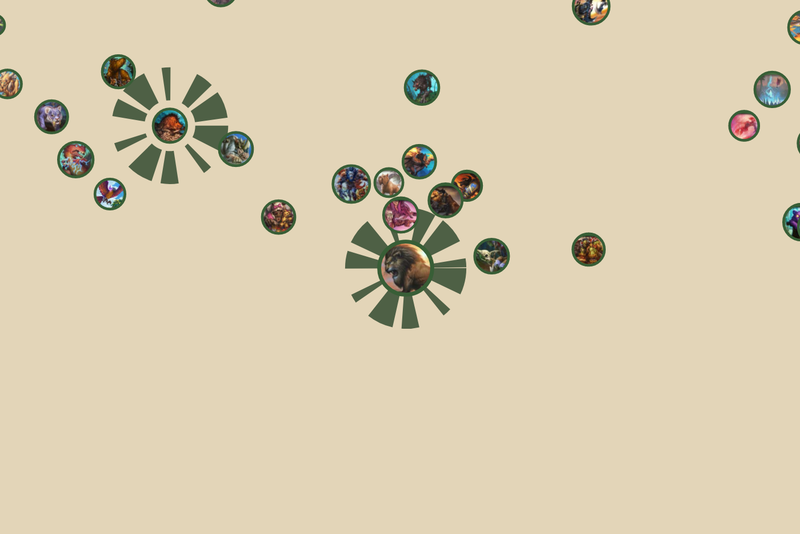 Explorer la meta hearthstone et trouver la carte qu'il vous manque. Explorer les flux voyageurs dans le métro parisien et leurs variation au fil de la journée. Observer la vie des vélib la nuit à Paris, Londres, New York et Washington. Naviguer dans le paysage social français en haute définition. Observer les flux de vélib, l'usage des stations et leurs variations spatio-temporelles. 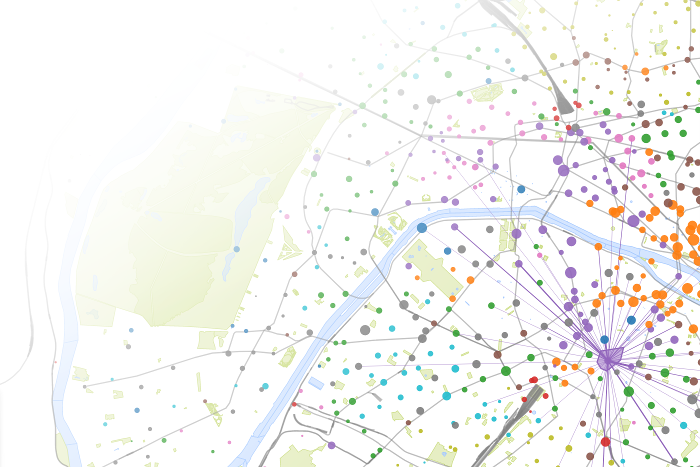 Visualiser l'organisation morphologique de 50 aires urbaines Française. Exploration interactive de matrice Origines/ Destinations Vélib. 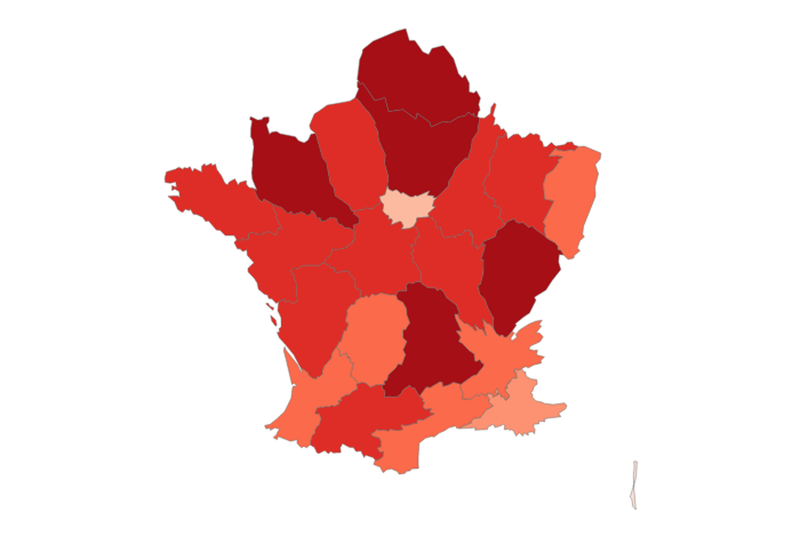 Explorer les préférances régionales des français sur la plateforme "le bon coin". Détournement des conventions cartographiques au profit des 2 roues. background image Cheysson, Émile 1880 : Carte Figurative des Recettes des Stations des Chemins de Fer Francais en 1878.